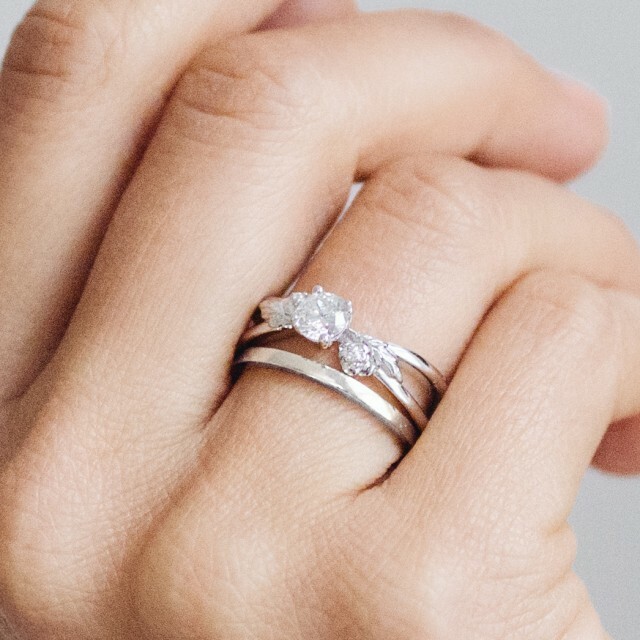 The time has come, and you are looking at engagement rings, but what really is the difference between white gold and platinum? 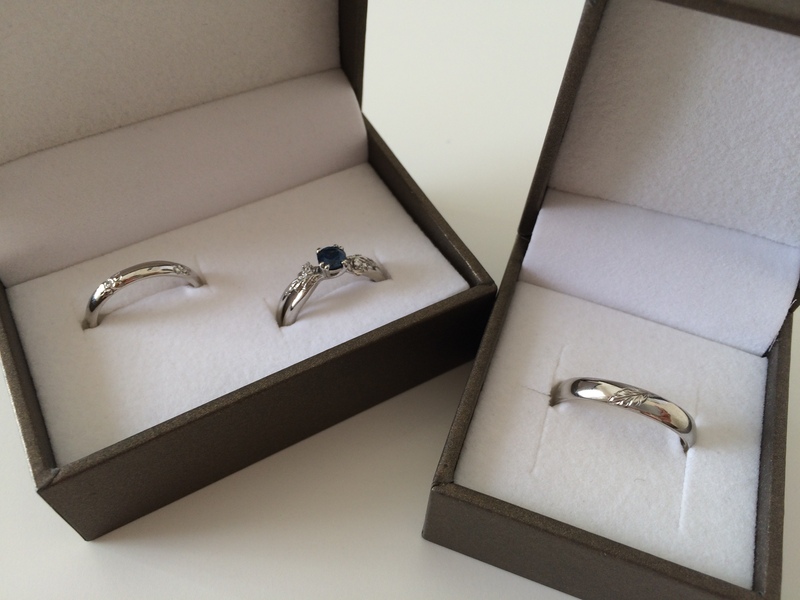 You know your mum’s ring is platinum, but your best friend has just got hers and she is in love with her 18ct white gold…. There are many options, but 18ct gold and platinum are two of the most common choices for engagement rings. Remember that the metal you choose for the engagement ring is likely to be the same one that your wedding bands will be made of, so it’s important to choose something that you and your partner, can live with for many years to come. If you’ll be wearing it every day, potentially for the rest of your life (or at least until you splurge for new ones at your 50th anniversary), it’s important to choose metals that will be durable and withstand daily use. Both gold and platinum are very durable precious metals. Platinum is the densest precious metal on Earth, making it more durable than 18ct gold. If your soon-to-be fiancé works with their hands often, durability is a major concern. In this case, platinum may be the best option. Remember that as a denser metal, platinum will be slightly heavier on the hand than 18ct gold. For some, the lightness of gold is more comfortable, especially if the hands are constantly under stress from frequent use. The next thing that you’ll want to consider is what the ring looks like. 18ct gold is the brighter of the two metals. By contrast, platinum starts off as a gunmetal grey material, and it will get dull and scratched over time. It will need occasional polishing every few years, but it will keep its original colour. Gold is a very traditional material for engagement rings, and comes in three different colours: yellow gold, white gold and rose gold. Yellow gold is one of the most recognisable metals in the world. It is made by mixing, in the case of 18ct 75% pure gold with alloy metals like copper and silver. Like any metal it can also be dented or scratched with time, but more so than platinum. White gold has become perhaps the most popular metal for engagement rings in recent years. This material uses pure gold and white metals like silver and palladium to create a silver appearance. It will need to be re-plated every few years to prevent it from turning yellow (as the bright white colour you get when you buy your ring is a white Rhodium platting) but this process is often inexpensive or free at many jewellers. Rose gold is a combination of pure gold and copper. 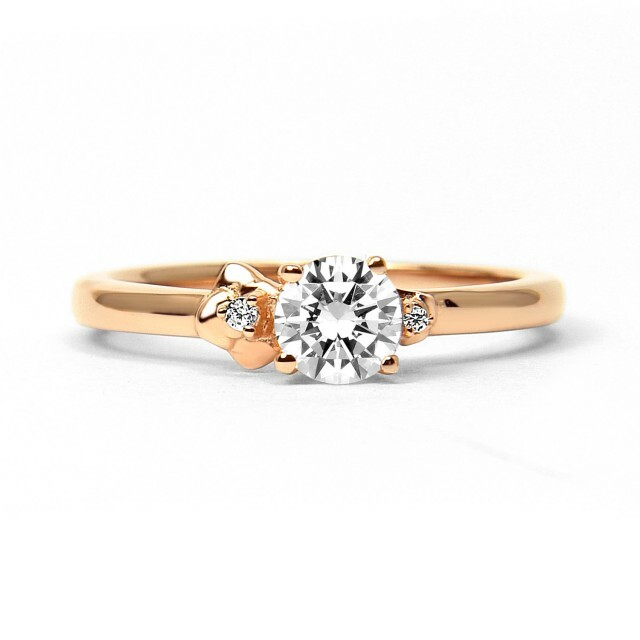 This is a beautiful romantic option for a feminine engagement ring, but please keep in mind that copper can cause an allergic reaction for some skin types. The deciding factor for many consumers is the price. While currently gold and platinum are similar in price per gram, overall a platinum ring is more expensive than an 18ct gold ring. This is because platinum is denser, and so more of it is required to make a ring. Additionally, platinum rings are usually 95% pure platinum, while 18ct gold is only 75% gold. By carefully considering these three aspects, you can choose exactly the right metal for your engagement ring. Good luck with the search, and if you need some inspiration come over to our Engagement Ring pages!